Earn credit toward your membership by referring other customers! When you refer another person or agency to AgencyAnalytics, and they become a paid member, you earn a $50 credit toward your next invoice! To get the credit, give the person whom you're referring the custom coupon code from the Partner Portal control panel in your AgencyAnalytics account.. When they enter that coupon code at checkout, they get a 50% discount on their first invoice, and you get credit for the referral. 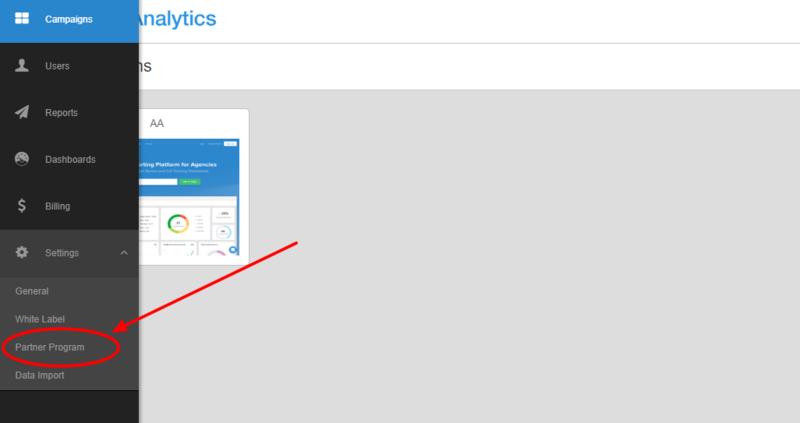 To navigate to your Partner Program control panel, click "Settings" in your navigation menu, then choose "Partner Program". 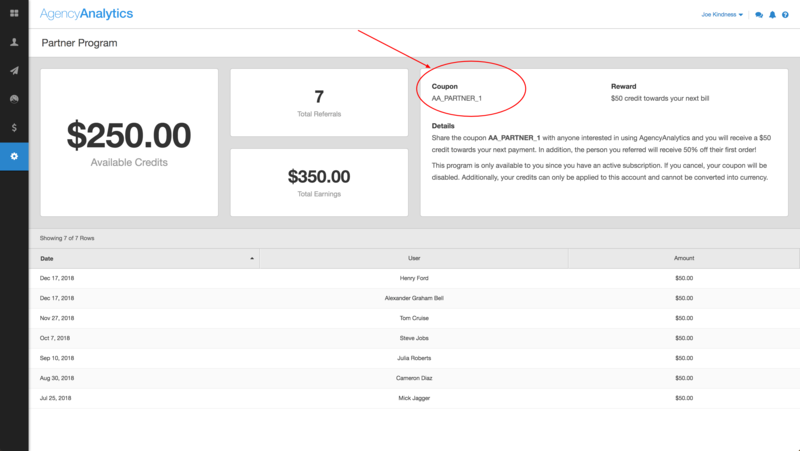 Your custom coupon code will be displayed under "Coupon" toward the right hand side of your Partner Program control panel. Available Credits: This is the dollar amount of credits available to be applied to your next invoice(s). Total Referrals: The total number of customers you've referred since the inception of our partner program. Total Earnings: The total dollar amount of credits that you've earned from our partner program since it's inception. Date/User/Amount: Date, name, and amount earned for each specific referral.